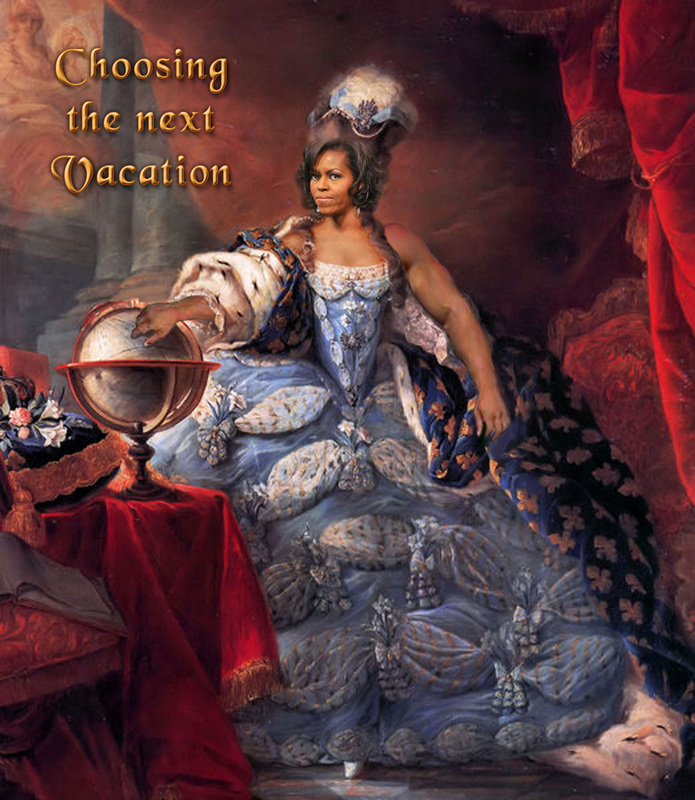 Michelle seems to be enjoying her European vacation on the Mediterranean, and just because hubby has screwed up the economy doesn’t mean she can’t take a little time off. Michelle Obama today faced a fresh wave of attacks over her lavish break in Spain with 40 friends, which could easily cost U.S. taxpayers a staggering £50,000 a day. The First Lady has been lambasted for her extravagance at a time when the economy is still struggling. One blogger went so far as to brand her a modern-day Marie Antoinette. And her critics will be further annoyed when they learn that the president’s wife had a Spanish beach closed off today so that she, her daughter and their entourage could go for a swim. Spanish police cleared off a stretch of beach at the Villa Padierna Hotel in Marbella after the Obamas had finished a busy day of sightseeing.